If you're an obsessed Vampire Diaries fan like me--and a Delena shipper to boot--you have been counting down to October 2nd. And if you're like me, when you saw the Official Season 6 Poster, a part of you died inside. Buzzfeed gives an in-depth analysis of this photo, and their on-point observations give me heart palpitations. Despite how utterly gorgeous everyone looks--Kat Graham SLAYS in that dress--Caroline alone on her knees makes me unspeakably sad, and I don't trust that lurking Enzo in the least. But the distance between Damon and Elena seems bigger than the problems wrought by a disintegrated Other Side. If this image is to be believed, Bonnie and Stefan are pulling our favorite pair apart, dragging them in opposite directions and ripping out the hearts of Delena fans around the world. If this image is to be believed. Don't get me wrong. 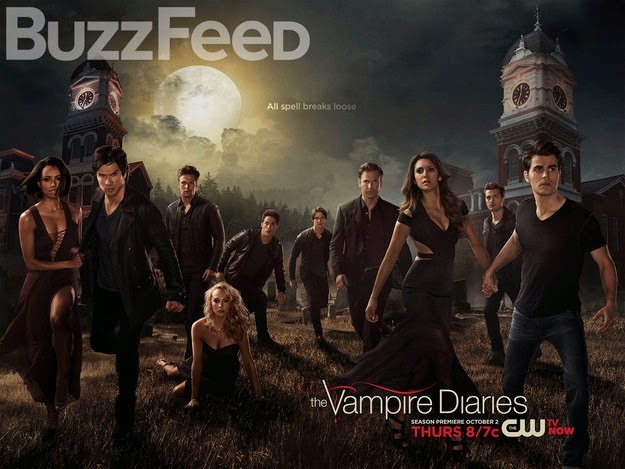 This poster aptly depicts the current state of affairs with our TVD favorites. Bonnie and Damon are separated from everyone else, and of the remaining characters, Elena and Stefan's worlds have been rocked the most. But I don't believe for one minute that Plec and Co would disrespect the Delena bond by ushering in the eras of Bamon and Stelena. Why not? 1. Because Stefan wouldn't do that. If Stefan wouldn't get with his brother's beloved (who was really Katherine passengered inside Elena) while Damon was alive, I hardly think he'd recover from his brother's death by doing so now. If the positions were reversed, I don't know if the old Damon would show the same restraint, but the living Salvatore is too compassionate to be so callous. This image cracks me up every time! 2. Elena wouldn't do that. Say what you want about Ms. Gilbert's former indecision, choosing Damon in 4x23 was the decision of her immortal life. She couldn't "think about always" with Stefan but craved eternity with Damon. In light of that, there is no earthly way she would go back to Stefan after losing Damon. The love she shared with Damon has no substitute, no Option B. And after losing it, I don't know if one ever fully recovers. But if one does, I do know it doesn't involve a liaison with the brother of that once-in-a-lifetime love, especially not the same brother one dumped to secure it. 3. Bonnie definitely wouldn't do that. Lest we forget, Bonnie cannot stand Damon. She has grown to tolerate him without rolling her eyes or frying his brain on sight, but let's not get carried away. Even if swayed by the smoldering Salvatore's aesthetics--and a lack of options wherever in the world they are--I cannot imagine any scenario in which Bonnie Bennett would start a relationship with her boyfriend's sister's boyfriend. She has too much integrity for that. 4. 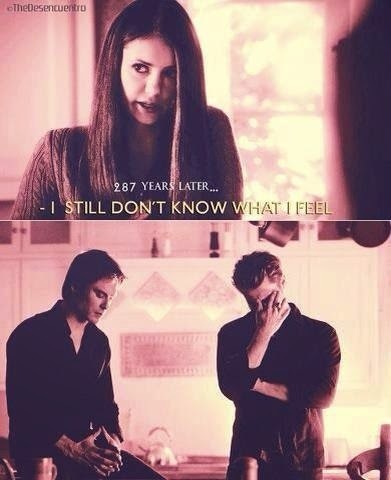 And Damon couldn't do that. And if you don't know that, then you don't know Damon. So take heart, Delena shippers. It may take all season, but I'm holding out for an epic reunion. Season 6 of Vampire Diaries premiers Thursday, October 2nd at 8pm EST on The CW.